Stepes’ revolutionary language technology solutions and best-in-class processes allow our clients to get fast and accurate Danish translation services online and on-demand. Are you looking for fast and accurate Danish translation services to support your business expansion in Denmark and Scandinavian markets? Stepes (pronounced /steps/) has developed the language industry’s leading solution for translating your business documents, websites, and marketing materials into Danish with speed and quality. Our modern, cloud-based language management system ensures your content is always translated with the best linguistic accuracy while at the same time delivering unrivaled localization efficiency. Unlike other translation companies using slow and outdated language production models, Stepes on-demand and agile translation processes can turn around most business translations (under 2,000 words) within 24 hours. Better yet, we’re the first translation company to deliver one-hour Danish translation services for press releases, business documents, and technical content under 400 words. Stepes employs one of the largest teams of professional in-country native Danish translators within the language industry. In addition to their excellent translation experience and industry subject matter expertise, we also train our Danish linguists to work with the latest online localization technology tools to achieve the best localization efficiency. Stepes supports our Danish linguists with real-time terminology look-up and concordance search of previously translated text for maximum translation productivity and linguistic consistency. Stepes also supports modern MTPE (machine translation post editing) on desktop and mobile, allowing our translators to deliver the best Danish translation results at scale. As an enterprise customer, you have the ability to rate the performance of our translators after each translation project. The linguists you consistently rate 5 stars will automatically be added to your myTranslator team for all your future projects enabling the best knowledge sharing and linguistic consistency. How to Translate Your Documents Easily in Danish? Translation services have obtained a bad rap for being overly complicated, too slow, and excessively expensive. Indeed, businesses are longing for a quality translation solution that’s cheaper, simpler, and faster. This is why you should test drive Stepes, a leading online translation service that global companies increasingly rely on to accelerate businesses in Demark and globally. We’ve simplified professional translations so you get your documents translated the way it’s supposed to be. Just upload (drag and drop) your files onto our online portal. Stepes AI powered translation management system will automatically extract the text from your documents to provide you with an instant quote. Upon your approval, translation starts immediately with our pre-approved English to Danish translators. For enterprise customers, the powerful myTranslator feature allows you to easily build a dedicated team of translators with the right linguistic and technical experience to serve all of your translation requirements on Stepes. Linguists translate the content on Stepes using our versatile online workbench. Customers and translators can directly communicate with one another via our project message (chat) window for linguistic queries. Throughout the process, our cloud based linguistic review portal allows linguists to review the translated text in context, in real time. Upon completion, Stepes AI assisted translation management system automatically generates the finalized file with the correct layout and format for the customer to download. The entire process is fully automated for a lean and more efficient translation model. Consequently, Stepes is able to deliver faster, better, and more affordable Danish translation services to our clients on a consistent basis. High quality Danish translations require more than just linguistic knowledge, it also demands best-in-class localization processes and the latest language technology tools to consistently deliver the best results. Modern businesses depend on fast and accurate Danish translations that can quickly scale to meet all of their global communication needs. To ensure your translation vendor can achieve this level of performance continuously, a good method is to check their ISO certifications. Stepes ISO 9001:2015 certified Danish translation solutions support dynamic terminology checking, real time translation memory lookup, and simultaneous cross-translator linguistic hominization to deliver the best Danish translation services at scale. Stepes only uses professional native Danish translators with the right subject matter expertise matching our customers’ industry fields for all translation projects. This is how we’ve been able to deliver high quality translations both linguistically and technically. Our intelligent linguistic resource management system uses a variety of performance metrics and checkpoints to most accurately analyze, categorize, and manage our linguistic capabilities based on subject matter and assign the best linguists to a customer’s translation project for optimum outcome. Stepes specializes in Danish translations for life sciences, finance, legal, manufacturing, energy, and agriculture industries. 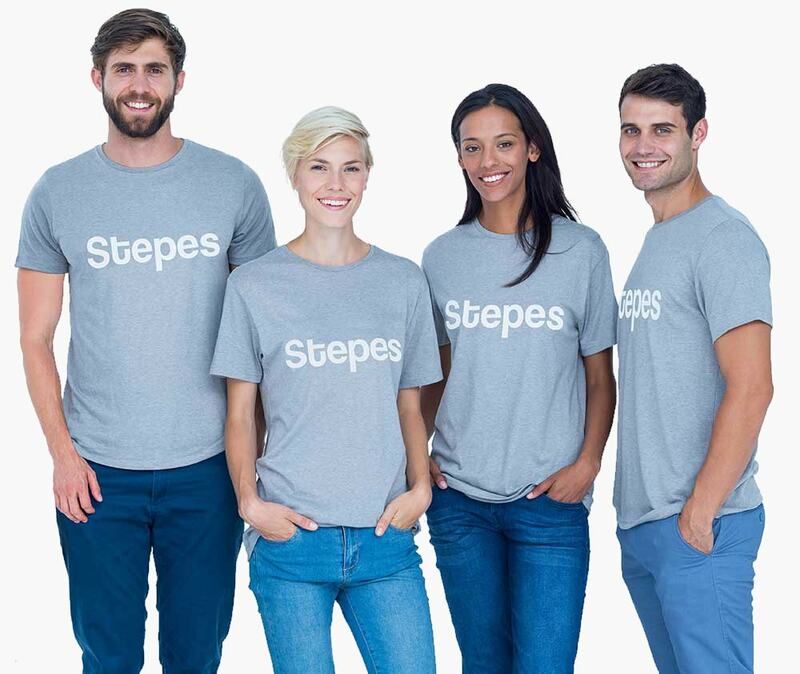 Stepes owns the world’s largest multilingual database of technical terms in 1,700 industry categories and over 100 languages. This unique capability coupled with our expert translators and cutting-edge technology solutions allow Stepes to deliver highly accurate English-Danish translations with speed and scale. Need your technical manuals translated into Danish fast? No problem. Sign up with Stepes today and get your content translated into Danish risk free for 30 days. We’ve compiled some common Danish translation related questions and answers to help guide you on finding the best language solutions for all your business communication needs in Demark. Do I need to translate my documents in Danish because everyone in Denmark seems to understand English? With a relatively small economy that heavily depends on foreign trade, Denmark relies on global communication more than any other country to succeed internationally. This is why most Danes learn English, German, or another second language in school. However, this doesn’t mean you can get away from translating your documents into Danish for business content. This is mainly due to one of two reasons: 1) Regulatory compliance. For many products marketed in Demark such as medical, machinery, food, and financial, EU laws require the accompanying documentation to be translated into Danish, and 2) Better customer experience. Even though many Danes speak English or another language, they still prefer to purchase products with descriptions and usage instructions written in Danish. Why is the cost for Danish translation so much higher than other European languages? First, Demark, along with Sweden, Norway, and Finland, are the highest per capita GDP countries in the world. The labor costs in Demark and other Nordic countries are significantly higher than other parts of Europe and the rest of world. The higher labor cost is attributable to higher government taxation as Danes enjoy one of the best social welfare benefits in the world. On the other hand, there is also a supply and demand problem. Within the language industry, there has been a consistent shortage of qualified Danish translators. Danish (Dansk) is a Germanic language so can we just use our German translations for Denmark (with minor edits)? The answer is not really. Even though Danish originated from the German language many years ago, the two languages are distinctly different in vocabulary, grammar, and culture expressions. Of course, it’s possible to translate from German into Danish, but if your documentation is in English, it’s always better to translate directly into Danish. This is because most translation tools use English as the default source language with far more support for terminology and translation memory between English and other languages. The Danish Spelling Reform of 1948 was aimed to remove some of the less spontaneous rules for both written and spoken Danish. It dropped the requirement for capitalizing common nouns and introduced additional vowels to make some pronunciations more closely resemble the way they’re written. However, like many other countries, Denmark hasn’t conducted another significant spelling reform for over seven decades. In recent years, some of the previously enacted rules are no longer strictly followed due to lackluster improvement plans and continuous efforts. In recent years, a number of more significant language spelling reforms took place such Turkish, Finnish, Portuguese, and German which may serve as a precursor to renewed Danish language development efforts which may affect the translation industry. Need ISO 9001 Certified Danish Translations? Need other European Translation Services? Click here.